A soft tissue injury is the damage to a muscle, ligament and tendon throughout the body. Common soft tissue injuries usually occur from a sprain, a strain or even from a one off blow. These can all result in a contusion or overuse of a particular part of the body. With soft tissue injuries can you can feel pain, experience swelling, bruising or even loss of function. understand what is wrong. We base your treatment on your lifestyle, activities and general health and we work to prevent discomfort and disability. 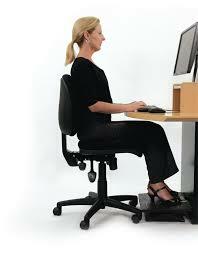 We discuss ergonomics which is the way you fit into your environment e.g. adjusting your office-chair. Your physiotherapist will help you establish your short term & long term goals in your recovery. You will be given an idea of timeframes for return to sport & return to work.